Star Chiropractic and Nutrition | Your ultimate healing resource. Star Chiropractic and Nutrition – Your ultimate healing resource. Welcome! I’m Dr. Suzan Starler. The above quote is what I hear most often from my new patients . . . and I hear your frustration. What is your main concern? Does back or neck pain prevent you from participating in activities you need or want to do? Have you found that other therapies have offered only temporary relief at best? Has weight loss been difficult or impossible to achieve? Do your allergies make you miserable? You probably realize that if what you’ve done in the past could solve your pain or other chronic challenges, you would be better by now. Health is your birthright, and waiting for a miracle is no way to live the life you are meant to live. Our approach is a proactive one – each patient’s program is structured to empower that individual to get the maximum benefit possible, as soon as possible. Imagine having one expert with whom you can consult, who will take into consideration everything that is going on with you physically. We know you are busy and understand that you don’t have time to be sick or in pain. You can’t afford the down time. We get it! That’s why we at Star Chiropractic and Nutrition continuously commit to meeting and exceeding your expectations for excellent care. 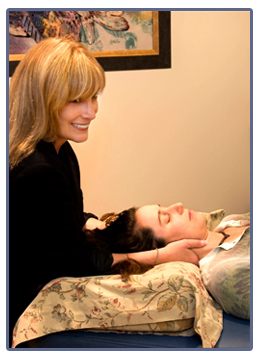 We offer flexible, convenient hours and the highest quality of holistic health care. We want you to get back to top form in the least amount of time possible. Dr. Suzan Starler, D.C., Cert MDT, ACT Nutrition Response Testing™, Quantum Neurology™ Level 3 Intern, is a “cutting edge” holistic healthcare practitioner. Practicing since 1993 with such disciplines as McKenzie Therapies, Nutrition Response Testing™, and Quantum Neurology™, and utilizing such advanced therapeutic tools such as the DRX9000™ (for herniated discs and spinal stenosis), cold laser therapy and the Amega Wand , Dr. Starler treats the whole body and looks at everything pertaining to a patient’s complaints. In this way, she is able to assess the key issues involved, and determine the root of a problem. So many different factors comprise good health, it is important to realize that there is rarely “just one thing” causing an individual’s symptoms. Because each person’s situation is unique, it is important that each individual be assessed and treated as unique. There are no “cookie cutter” remedies! Each patient’s treatment plan is highly customized. As a chiropractor, Dr. Starler combines advanced knowledge of the nervous system, the musculoskeletal system, and physiology to remove nerve interference, promote proper biomechanics, and activate each patient’s own natural healing capabilities in order to relieve symptoms. Emphasis is placed on proper nervous system stimulation, proper postural alignment, proper nutrition, and proper exercises for optimal results. Every doctor does the best they can within their paradigm. Dr. Starler’s paradigm is different, even in the chiropractic arena. She gives patients hope, helps them reduce or eliminate pain and other symptoms, and improves their quality of life. At a relatively young age, Dr. Starler personally experienced years of chronic neck and low back pain, in addition to a life threatening auto immune disease. She was able to determine what her body needed to eliminate her symptoms and cure her auto immune disorder, and she has done the same for hundreds of patients. Dr. Starler knows what you are going through, and maintains that every person should realize THERE IS ALWAYS HOPE. If you’re looking for results, Star Chiropractic and Nutrition is an excellent place to start! In a hurry? Call us now to schedule your appointment: 310-571-1212. We encourage you to click on any of the above links to explore more detailed information about our services.